Our Nicaraguan Binder is one of our highest grade cigar binder leaves that is used in many hand-rolled premium grade cigars. Make your own cigars with premium materials, using only the best tobacco leaves money can buy! 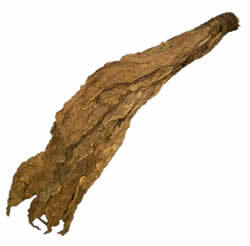 Nicaraguan tobacco leaves are famous around the world for a very good reason! Their soil & climate truly offers a distinct flavor and provides a certain “kick” that many cigar lovers know and covet. Our Nicaraguan Binder tobacco leaves have a medium to strong, rather robust flavor profile. Nicaraguan is known to add a full-bodied combination of flavor and strength to any cigar you may roll. Even though it’s a high quality binder leaf, you will still find some small imperfections or blemishes, but you can also expect to find leaves that are almost perfect! These leaves arrive tied in bundles or “hands” of tobacco leaf. Interested in purchasing a quantity of Nicaraguan Binder leaf at the incredible prices listed below? Contact us to set up your order today! This selection of Dominican Binder Tobacco is one of the most widely used and popular cigar binders in the tobacco industry. Grown in the Dominican, it is known for it’s superior quality and affordable price. Thin, yet durable, the PA binder leaf does not have large veins and binds cigars to the point of perfection, even before the final wrapper is applied. Our Cameroon Binder tobacco leaves are mild, thin, and smooth… what more can you ask for? 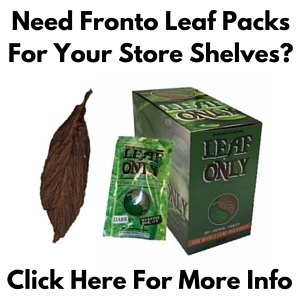 This variety is very similar to our customer favorite Connecticut Shade Leaf in appearance and texture, but as with most tobacco leaves, these Cameroon binder leaves have their own unique flavor. Our Colombian Binder tobacco leaves are robust, yet quite mild-smelling – similar to the scent of unroasted coffee beans. 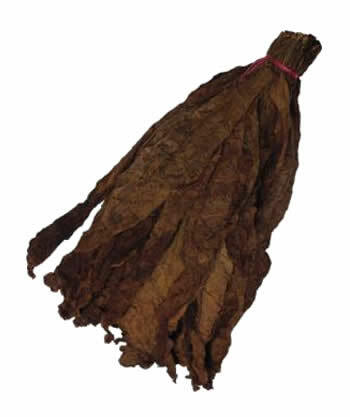 The 2LS Connecticut Broadleaf have a distinctly popular light tone. The outside of the wrapper is a pungent tan brown, while it’s soft and darker on the inner side. It is used primarily as binder due to minor tears.